SSo you're excited about starting your South African adventure but you're not quite sure about how things work here. Luckily for you, you have this guide to help you out. Here you'll find everything you need to know about travelling to and around South Africa. If you’re a citizen of another country and want to travel to South Africa then you need a visa. Yes, flying is quick and easy but most of the magic of exploration lies on the ground. South Africa is a heaven for self-drive enthusiasts. Since South Africa is in the southern hemisphere, it’s summer down here when it’s winter in Europe and North America. Summer begins in November and lasts till February, which if you think about it, makes this the ideal time to visit if you want to escape the cold weather. Drinking water in South Africa is safe to drink and cook with when taken from taps in urban areas. When thinking about what to pack for your South African adventure, it all really depends on the purpose of your visit. If you’re heading to South Africa you can rest assured that the country has a very well structured healthcare system with a number of public and private hospitals throughout the country. South Africa is well-known for its tourist attractions, not to mention its awesomely dynamic range of accommodation. It stretches from game lodges to five-star hotels, to friendly country houses, small hotels, B&Bs and camping sites – all kitted out with a range of catering options. There are over 70 international airlines now flying to South Africa. 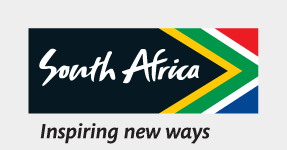 The award-winning South African Airways, the national carrier, flies to destinations all over the world and is connected to major international air routes, making it easier for you to enter the country from pretty much any corner of the world. If you’re on a budget, travelling by bus is the cheapest way to travel the country. As a result it has become the go-to travelling option for the more economically-conscious locals. Be sure to book with a reputable service as not all bus companies have an equally good reputation. If you’re an adventurer at heart, rail travel provides an exciting way to soak in South Africa’s scenic beauty without having to drive yourself around.